You can see most of Brisbane in a week or so and the best way to get around the city is on foot. 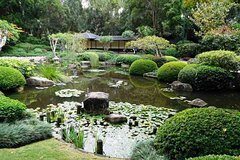 The CBD itself isn't huge and if you're even modestly fit you'd have no trouble seeing pretty much everything there is to see — namely the River, City Botanic Gardens, Queen Street Mall, South Bank and Roma Street Parklands. For more places to explore in Brisbane, check out our comprehensive Brisbane destinations section. A hop on, hop off shuttle bus does a loop of the CBD every 15 minutes or so, so there's always vehicular backup if your legs get too tired. Volunteer guides offer free walking tours of the two Botanic Gardens every day except Sundays. The Brisbane CityCats and ferries are another great way to see the city. In the early days the river was the main form of transport, so most of the important historical sites can be reached from the water. 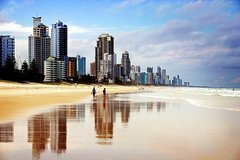 If you want to see a bit more of the city and suburbs, or venture down to the Gold Coast, Sunshine Coast, or Fraser Island, your best bet is on an organised tour. We've listed some of the most popular Brisbane tours below — you can book them all online. Book A Brisbane City Tour Today! 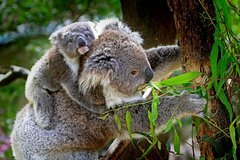 Book this tour for a visit to Lone Pine Koala Sanctuary, the world’s first and largest Australian Wildlife sanctuary where you can cuddle a cute marsupial mammal, followed by a drive to the scenic lookout at Mount Coot-tha to enjoy city and Moreton Bay views. Enroute you will see the famous XXXX Brewery and Suncorp Stadium. 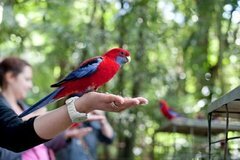 Includes transport and admission to Lone Pine Koala Sanctuary and Mt Coot-tha Scenic Lookout. Get a taste of Brisbane’s city sights and history on this half- day guided tour of the places and spectacular architecture that characterise Queensland’s capital city. Learn about the history of this fast growing cosmopolitan centre set on the Brisbane River. This is a Half Day Tour from 9.15am-12.15pm. Brisbane city sights! Australia’s third largest city and Queensland’s capital, Brisbane, has a fresh, innovative and vibrant CBD from its trendy cafe club culture to historic sandstone buildings. Enjoy a sky-high experience on the Wheel of Brisbane with panoramic views. You will see the River City from the water aboard a comfortable cruise boat enroute to arts precinct, Southbank Parklands. If you've ever been disappointed with your travel photos, this fun and easy to understand photography class is an absolute must. Many travellers pay a lot for a camera, but only use 60% of it's potential! 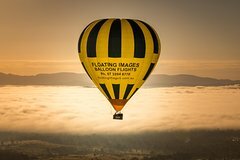 By attending this unique learning experience you'll discover the steps to get the very most from your camera (or phone device) and you'll know exactly what settings to use to bring your travel photos and landscapes to life. No matter your level of experience or if you prefer to shoot with a DSLR or a Smartphone, in your Photography Masterclass everything will be explained in a way that you'll find incredibly easy to understand. Imagine.. no more boring or blurry photos... no more shots that are too light or too dark... just perfectly exposed dynamic photos with a "wow" factor that'll truly impress your family and friends. Your holiday memories are important so take your photography skills to a whole new and exciting level by booking your place at Photography Masterclass now. Wine and beer lovers prepare to charge your glasses! 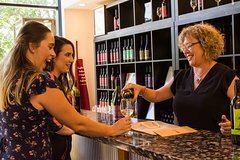 Escape the bustle of Brisbane City life while visiting ideal real countryside, breathing the clean country air, experience the relaxed rural lifestyle, reflect on quaint historic towns, all awhile refining your palate with their Boutique Wine and Beers. 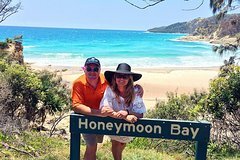 Your hosts, Ray and Karen, share a passion for wine and its provenance and discovered a bounty of family owned and operated wineries & micro breweries in and around Moreton Bay, Somerset Region, their local region . When you are planning a trip to Brisbane or the Gold Coast, take advantage of our day tours. 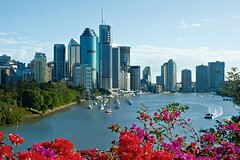 It is guaranteed that you will have a ball in Queensland, where Australia shines and spectacular day tour options, sightseeing and nature experiences abound. 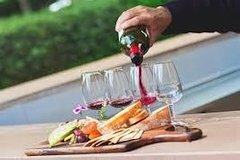 Let “Bums On Seats Wine Tasting Tours” take you exploring the well-kept secrets of the spectacular vistas en-route the wine trail to Tamborine, often witnessing hang-gliders and paragliders as we venture between wineries. You will be sampling the very best of Queensland award winning boutique wines. Private tours are available for groups from 2 – 11 guests. Ideal for those with limited time who can chose the day and times of their tour to suit your time in Brisbane or the Gold Coast. You may even find that this is a cheaper option than booking one of our scheduled tours. tours can be tailored to your own requirements. Would like to go to Byron Bay, Toowoomba/Darling Downs or Brisbane destinations? We can put a great tour together for you. Catering can be arranged to suit your needs or simply take our standard menus which are designed to suit most tastes. Set rates are available for both full-day and half-day tours depending upon the number in your group. We pick you up at your accommodation / hotel in Brisbane, Logan or Gold Coast. – you can choose the time! Guest will travel in an air-conditioned 12 seat mini-bus. Be assured we know what we are doing and will endeavour to make your trips one of the highlights of your visit to Queensland. When you are planning your holiday vacation to Brisbane or the Gold Coast, take advantage of our day tours. 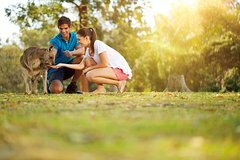 It is guaranteed that you will have a ball in Queensland with Bums on seats tours, where Australia shines and spectacular day tour options, sightseeing and nature experiences abound. Byron Bay is one of the most popular and magical destinations in Australia with its laid back lifestyle, world famous beaches, natural beauty and diverse residents. Start your trip with a visit to the pearl of the Byron hinterland – the beautiful little town of Bangalow with a fascinating mix of local shops, galleries and cafes. Have a locally brewed coffee and indulge in some locally grown food. Walk your way up through subtropical rainforest to the Byron Lighthouse for the most spectacular 360 degree ocean and Byron hinterland views and to watch the dolphins and migrating whales (May to October). From the Kondalilla Falls car park, walk 100-metres downhill (with steps) to a large grassed picnic area with barbecues, picnic tables and toilets. Laze over a picnic then set out for a scenic walk. 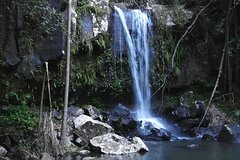 Follow the Picnic Creek circuit, walking through rainforest and open forest to a cool rock pool at the top of the falls. 0730-0900 Travel to Cleveland, stopping for Kangaroo & Koala viewing. 0900-0940 Vehicular ferry across Moreton Bay. Morning tea & cakes. Marine life watching. 0940-1130 4WD on bush tracks stopping at lakes, lookouts & fauna. 1130-1200 Short walk to North Gorge. 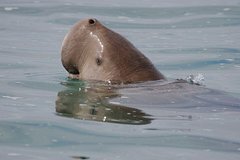 Observe dolphins, sea turtles, manta rays & Humpback whales in season. 1200-1430 BBQ lunch on the beach, Fishing, swimming, playing in the sand. Aboriginal artefact presentation, play didgeridoo, throw boomerang. 1500-1545 Ferry back to Cleveland. Afternoon tea & biscuits. 1545-1715 Return journey to hotels. 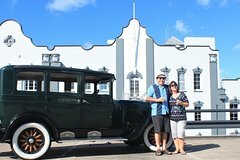 Discover Brisbane's rich Art Deco architecture history with an automobile straight from the heart of the art deco moment in 1928 - Bonnie a 1928 luxury Chrysler vintage sedan. Imagine re-discovering hidden gems in and around Brisbane's CBD that have been long forgotten but still survive. Have you seen Westella, Regina Court, Coronet Court, Carmel Court, the secret of China town. Our tours take approximately 120 minutes, include red carpet service from your inner city hotel, complimentary DSLR photography, and is a pure indulgence in time and travel. Our tours are perfect for up to four passengers. 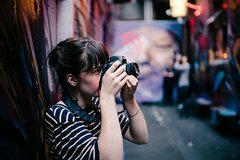 Photograph Brisbane’s hidden and iconic hot spots while you learn to use your digital camera. You'll receive personalized attention with a professional photographer as your mentor and guide. 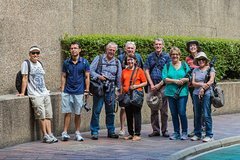 Aimed at beginners, this private 2-hour walking tour offers hands-on and one-to-one experience so you can improve your photography skills while exploring the city. 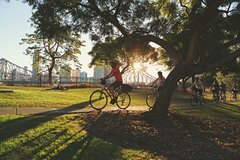 New to town or just want to take an easy ride through Brisbane’s inner city hot spots? Cycle, Rollerblade, Scooter or Kickbike your way around the city with any one of these hire options. 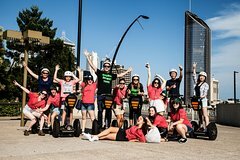 Let your experienced instructors be your guide you as you glide past the spectacular views of the Kangaroo Point Cliffs, Story Bridge, South Bank, the Botanic Gardens and the Brisbane River on a Segway. 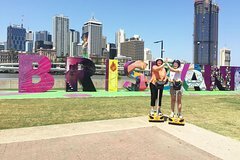 These Brisbane Segway tours are guided by qualified and experienced instructors. No experience is necessary as each session includes full instruction, a safety briefing and all equipment. There are several departures to choose from through the day and also tours at night with the option on to end your Segway Tour with a delicious gourmet barbeque or a bucket of fresh prawns. Learn how to best use your digital camera in manual modes and master composition. Need a local professional photographer to show you the best spots at the best time? this is the best way to explore and discover. 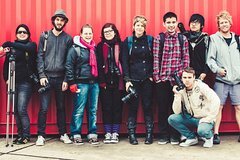 A unique learning adventure to inspire and spark your passion for photography. 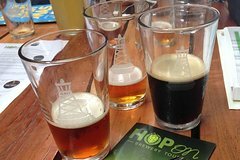 Visit local craft beer scene in and around Brisbane including 3 microbreweries. Small groups experience unique flavors and a fun day out sampling new beers and supporting the local community. 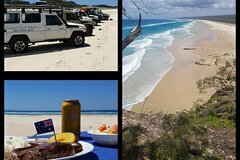 Enjoy an adrenalin-filled adventure including two of Moreton Island's most popular activities on a 4WD day trip from Brisbane. Your action-packed day includes sand boarding on the island’s sand dunes, as well as snorkeling amongst the Tangalooma Shipwrecks, home to one of Queensland's most diverse marine ecosystems. 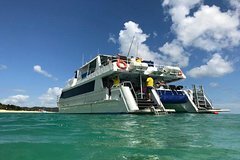 Throughout the day, you’ll also enjoy Moreton Island's amazing scenery, pristine beaches and abundance of bird and marine life. This tour operates with a maximum of 16 people, ensuring you’ll enjoy a small-group experience with your expert guide. Naturally beautiful, Bribie Island is the only Morton Bay Island reached by bridge. This tour includes a scenic boat tour of Pumicestone Passage and a 4x4 tour of the beach. In the passage you can see Dugong or Dolphins during or boat tour.On our 4x4 beach trip in the season we have turtles nesting on the beach and whales breaching in the sea.The ecologically important Pumicestone Passage, formed by the channel which runs between Bribie Island and the Caboolture coastline, is protected marine park and a safe haven for dugongs, turtles, dolphins and a diverse birdlife and extensive network of mangrove swamps. There is also a fantastic surf beach which we will drive up. 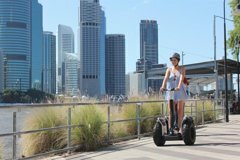 A new and fun way to see Brisbane’s beautiful river city and South Bank Parklands. Cruise along the river with our experienced guides — a great way to cover lots of ground and see and hear about the spectacular views and sights. Our self-balancing, two-wheeled robo-gliders are easy to master and safe with its speed controlled by a simple shift of bodyweight. Once you step on them, you’ll quickly find out just how much fun they can be and just how easy they are to ride! No experience is necessary as we train you before you start your tour and provide you with all safety equipment. 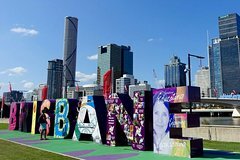 Opt for the 30-minute tour for a quick snapshot of the city, 45-minute tour to see more of the sights or select the 60-minute experience to see the full highlights of Brisbane. If you're a night owl, book in for our 75-minute night tour! 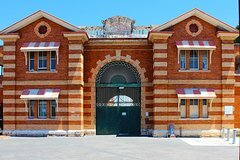 Historical Boggo Road Gaol is one of Brisbane’s most intriguing and culture-enriched heritage sites. Originally built in 1883, it became the scene of many important moments in Australia’s history. From its opening to its official closure in 1992, the trials and tribulations of the Boggo Road era have been preserved by story-telling, anecdotes and raw historical evidence that now make up the foundation of Boggo Road Gaol’s family friendly, public History Tour. 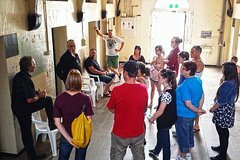 As a monthly treat, Boggo Road Gaol provides Prison Player Re-enactments as part of the History Tour. Showcasing the daily life of Boggo inmates, the Prison Players experience is not one to miss! 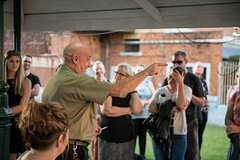 The Officer Tour is a monthly specialty tour taken by a real-life ex-officer of Boggo Road Gaol. Get the first-hand experience recaptured, learn the ways of the Boggo warders and immerse yourself in this piece of Queensland’s history. Running on the last Sunday of every month, the Officer Tour is not to miss! PLEASE NOTE: The Tour will involve strong concepts and mature content. Suitable for those aged 15 and over. Experience the beauty of Australia’s 3rd largest city whilst traveling in absolute luxury in a Mercedes Benz vehicle. 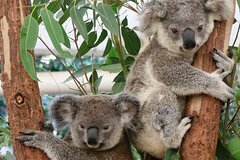 See native Australian animals at Lone Pine Koala Sanctuary. Enjoy lunch at Mt Coot-tha (Brisbane’s highest point) before exploring Southbank Parklands where you may ride Wheel of Brisbane. Finish the day with visits to Kangaroo Point cliffs and Story Bridge. If time permits, also explore some of Brisbane's history museums and other city historical sites. There is also the option to upgrade to an Exclusive Private Tour. 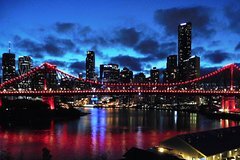 Enjoy an evening drive through Brisbane to see the bridges & landmarks lit up and a sweeping panoramic view over Brisbane from Mt Coot-tha lookout. Next is a guided tour of the Glow-worms ($9) and wine tasting at the Cedar Creek Winery. Lunch is an Aussie hamburger with stunning views overlooking the Gold Coast and the Pacific Ocean from the Eagle Heights Mountain resort. You can then wander along The Gallery Walk with it's many and varied arts and craft shops. There a range of other experiences such as the Opal Shop, Cedar Creek Rockpools, Botanic Gardens and other scenic views before being dropped off back at your hotel accommodation. 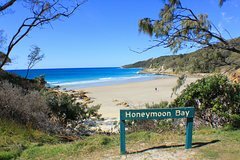 After pickup from your hotel accommodation or Cruise Ship in a personal chauffeur driven vehicle ( max 7 people ) you will experience the loveliest scenic areas of South East Qld, the Sunshine Coast Maleny hinterland and and it's beautiful beaches. After stopping to view the Glasshouse Mountains and the Rainforest Education Centre, seeing a lovely waterfall and exploring the delightful tourist mountain villages of Maleny and Montville, you will enjoy lunch whilst taking in the stunning views at one of the many restaurants and cafes. A drive down Razorback Mountain Road takes you in the lush hinterland and back up through the mountain town of Buderim. Your next stop brings you to the beautiful beaches of Alex Headland and Maroochydore where a delicious afternoon tea overlooking the beaches with their breezes will be enjoyed by you. 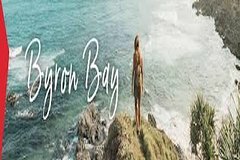 Enjoy a great day travelling on a private tour with a local guide to the world famous one and only Byron Bay in a personal chauffeured vehicle ( max 7 people ). 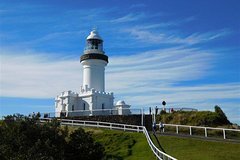 From the iconic White Lighthouse which is the most easterly point in Australia, you will have uninterrupted views up and down the sun drenched coastline.The pristine beaches with their gentle rolling surf front an amazing array of cafes, restaurants and arts and craft shops. Maybe have lunch with the locals at the Byron Bay Hotel or at any number of specialty cafes. 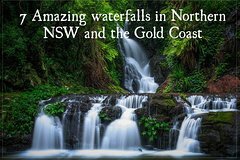 Side trips on the way include either Burleigh Heads Beach on the Gold Coast or the Natural Arch Waterfall in the hinterland and The Crystal Castle on the way home. All this in a personally chauffeur driven vehicle ( max 7 people ) with pickup and drop off at your hotel accommodation. Localgrapher is the largest network of professional photographers and videographers with more than 600 destinations around the globe! 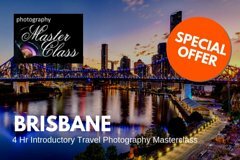 Book your private photographer and guide in Brisbane to capture your picture-perfect moments while visiting amazing sites! 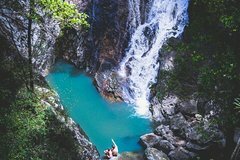 Fancy an insta-perfect photoshoot from your Brisbane vacation? Localgrapher has years of experience with fashion and solo travel photography! Make your memories last a lifetime and share them on social media or display them in your home to receive an avalanche of compliments. 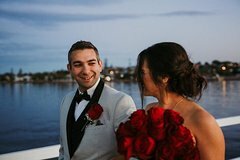 If you are about to propose to your loved one, honeymooning or just exploring what Brisbane has to offer, put the selfie stick aside and let Localgrapher’s superb photographers take care of the photos for you both. Travel to Moreton Island from Brisbane or the Gold Coast for a full day of fun in the sun. 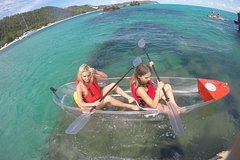 Your guide takes you by 4WD vehicle along the sands to Tangalooma Wrecks, where you'll see incredible coral reefs on snorkel and kayak outings. You'll also go inland for an exhilarating sandboarding experience on massive sand dunes. 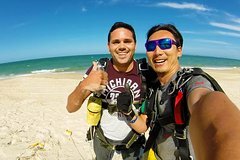 This action-packed tour includes a picnic lunch on the beach and time to soak up the scenery of lovely Moreton Island, the third largest sand island in the world. Please note: An additional cost of AU$50 (per adult) / AU$35 (per child 13 years & under) must be paid in cash to the driver on departure to cover the cost of national park and ferry fees for the duration of the tour. See the World's 3rd largest sand island! 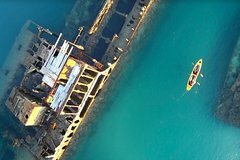 Discover the beauty of Moreton Island headlands, freshwater lakes & hidden beaches. Explore the rich history of the indigenous clans & first European settlers of the Island, also enjoy the off-road adventure in an air-conditioned 4WD bus on untamed tracks & beaches. Fully-guided tour with live commentary by local guide. Enjoy a refreshing Aussie-style picnic lunch on the golden beach (inclusive). Suitable for anyone 4 years and above and people with low fitness levels & medium mobility. Return transfers inclusive. Please note: An additional cost of AU$50pp must be paid in cash to the driver on departure to cover the cost of national park and ferry fees for the duration of the tour. A Day Trip to the beautiful to Noosa Heads, one of Australia’s favourite holiday getaways. 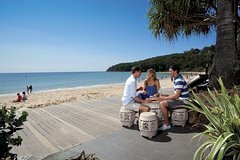 Spend over an hour and half enjoying beautiful Noosa including famous Hastings Street, stroll the boardwalk of the stunning Noosa Beach and take in the spectacular scenery of the national park and Laguna Bay. 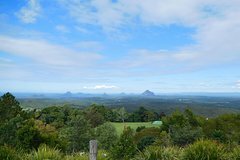 In the afternoon tour the ranges to Montville for views of the Glass House Mountains! Included is a ferry trip along the beautiful Noosa River to the heart of Noosa. Note: Wed and Sat includes 40 min visit to Eumundi Markets - Australia's largest Art and Craft market. Eumundi - where they "Make It, Bake It, Sew It , Grow It!" 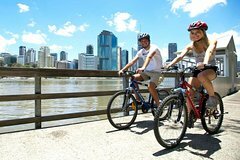 In Brisbane take an open topped Green Cab to follow the river’s cycle paths through the city’s beautiful Botanical Gardens, along the delightful and scenic Clem Jones Promenade at South Bank, through trendy Little Stanley St at South Brisbane and over several pedestrian/cycle only bridges. You can travel through the city’s CBD past all Brisbane’s historical buildings and go to places to have the best views of our city’s skyline. 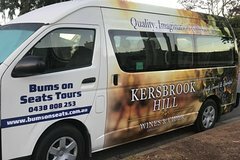 Our personalised tours can even collect and/or drop you at your hotel or at any other CBD location of your choice. Your rider will play your favourite music or you can just sit back and simply enjoy the sounds and sights of our beautiful city. The perfect introduction to Brisbane. 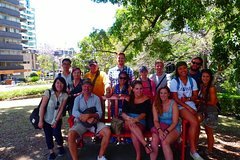 This small group, three hour walking tour covers all the main sights in the city center and takes you where the buses can’t go. Unlock the unique character and landmarks of Brisbane as you see King George Square, the Story Bridge, the City Botanic Gardens, the oldest church in Queensland, Eagle Street Pier, the City Hall Clock Tower, historic buildings and lots of hidden secrets along the way. 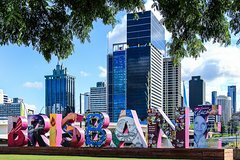 Only have one day in Brisbane? This is the tour for you. We LOVE art. And Brisbane's ever changing art scene has something for everyone. 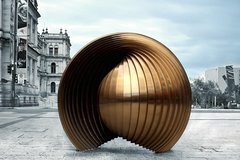 Take our three-hour Art + Design Tour and get an up close introduction to Brisbane’s excellent open air art scene. We keep our group size small, a maximum of 8 guests so that everyone is involved. 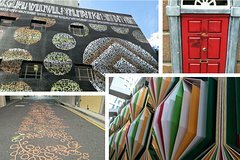 On our Art + Design tour you will traverse the streets of Brisbane, both north and south of the river, and discover hidden – and not so hidden – unique street art all the while conversing with fellow guests and your guide about your personal interpretation of the art you see. With the ever growing Brisbane Street Art Festival, there is always something new to be seen. We’ll finish at the internationally renowned QAGOMA Queensland Art Gallery | Gallery of Modern Art just in time for you to grab lunch and enjoy the rest of your day. Alternatively, our guide will accompany you on the 10-minute walk back to the Queen St Mall.